Trustworthy information, straight from the source. Education is the first step in an empowering healthcare plan. Learn more about post traumatic stress disorder, from prevention to diagnosis and treatment. Post traumatic stress disorder (PTSD) is a condition that may occur after you have experienced a traumatic situation or event. This event may have caused you to feel intense fear, pain, or sorrow. You may think you are going to get hurt or die. You may also continue to feel helpless after the event. These feelings affect your daily activities and relationships. A crime done to you or a crime you may have seen, such as a murder, robbery, or shooting. A serious disease, such as cancer, or the death of a loved one. A natural disaster, such as a flood, earthquake, hurricane, or tornado. You have seen, faced, or experienced an event that involved serious injury, near death, or death. Your response to the event was great fear, helplessness, or horror. You have at least one constant symptom of re-experiencing the traumatic event. You have at least three symptoms of avoidance. You have at least two hyperarousal symptoms. Your symptoms cause distress and affect your daily activities, work, and relationships. Cognitive behavior therapy: This therapy will help you learn to face the feared object or situation slowly and carefully. You will also learn to control your mental and physical reactions of fear. Cognitive restructuring: Your healthcare provider will help you learn which thoughts cause anxiety. Your therapist will help you see the event differently so you can change your thoughts and decrease your anxiety. Exposure therapy or desensitization: This therapy helps you face a feared object, person, or situation. Fantasy or real-life situations are used with this therapy. The goal of desensitization therapy is to help decrease your fear or anxiety. Eye movement desensitization and reprocessing: This is also called EMDR and is a type of exposure therapy. Healthcare providers help you make your eyes move back and forth while you imagine the trauma. 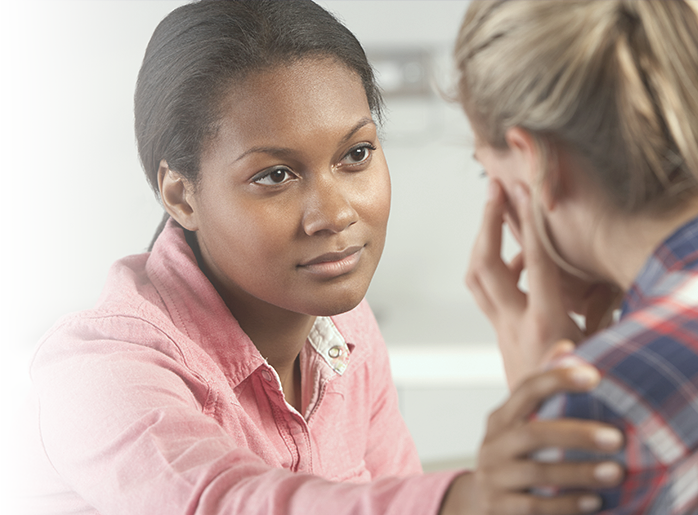 Psychological debriefing: This is often a single meeting with a therapist to have crisis counseling. You may have this right after a traumatic event to prevent or decrease further emotional problems. Antidepressants: These medicines decrease or stop the symptoms of depression. You think about hurting or killing yourself or someone else. You cannot make it to your next appointment. You cannot sleep or are sleeping too much.